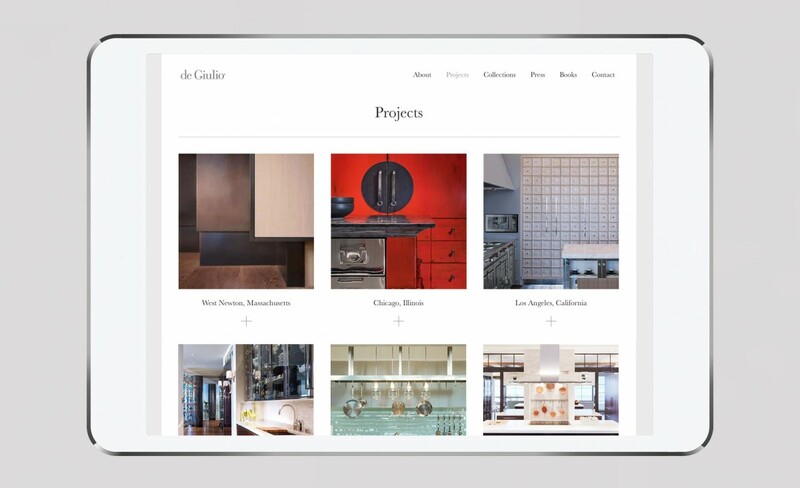 Unique in the creative world of kitchen design, we helped transform the deGiulio Kitchens web experience into a modern, clean and versatile brand experience. The graphic design mirrors the beauty and utility that is found in every Mick De Giulio kitchen. 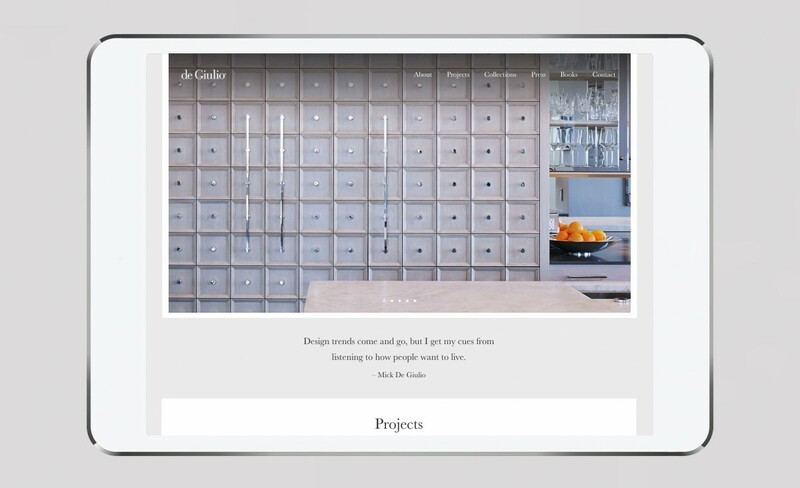 Short dramatic films opened the website showing how great design is inherent in everything they do. Mick De Giulio has been creating award winning kitchens for distinctive residences throughout the world for over 40 years. 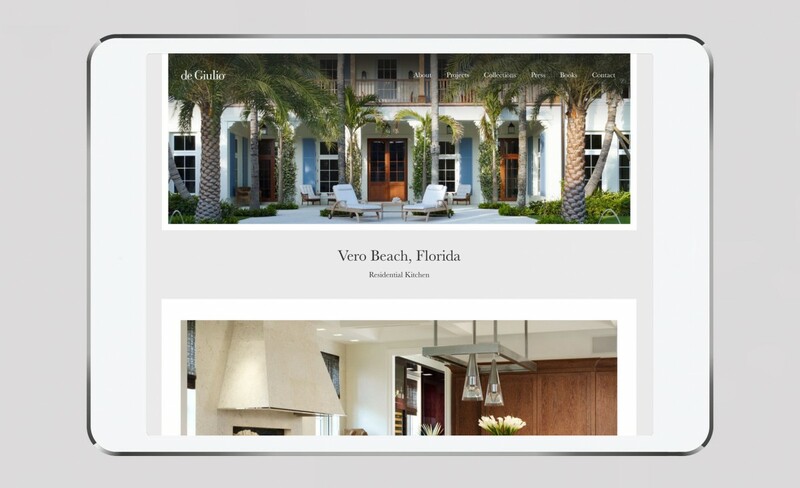 The web experience follows his clean aesthetic and design universal style. Mick’s the brilliance is in the details.